From Goodreads – Colby and Bev have a long-standing pact: graduate, hit the road with Bev’s band, and then spend the year wandering around Europe. But moments after the tour kicks off, Bev makes a shocking announcement: she’s abandoning their plans – and Colby – to start college in the fall. But the show must go on and The Disenchantments weave through the Pacific Northwest, playing in small towns and dingy venues, while roadie- Colby struggles to deal with Bev’s already-growing distance and the most important question of all: what’s next? WILL BE ONE OF MY FAVORITE READS OF 2012.
smart and yearning roadie Colby, and his best friend, moody and mysterious lead singer Bev. The Disenchantments is one of those rare books that had me rereading passages, picking sentences apart to figure out what makes them so simplistic but beautiful. As Colby and The (beautiful, talentless, and utterly endearing) Disenchantments tour through small, forgotten towns in Northern California and the Pacific Northwest, they meet a cast of eccentric characters who are completely unforgettable. They uncover bits of a family mystery. They also begin to discover themselves and the basis of their relationships with each other, their families, and their futures. It’s a simple concept, yet so very fascinating. a bag of pistachios, and a Magic Eight Ball. We’ve already been having lots of fun celebrating with him! My daughter is attached to his hip! And I bet you’ll love THE DISENCHANTMENTS, Erin. It reminded me a bit of THE SKY IS EVERYWHERE in its mood and its utterly unique but completely authentic YA voice. In other words, it rocks! Wow – this is the first time I’ve heard of this book AND I SO WANT TO READ IT NOW!!!! Awesome review…and yay that your hubby is home!!! I’d only recently heard of THE DISENCHANTMENTS too, and I’m so glad I did. It’s such a cool story! Awesome that your husband is home safely! 🙂 And I desperately want to read this one! It looks like so. much. fun. Thanks, Crystal! And yes, this book is all kinds of fun! It perfectly captures that intense YA longing and that weird phase between your teen years and adulthood. So good! Yay to lots of things, first and foremost your husband being home! I’m glad you loved The Disenchantments–I did, too! I actually find myself missing the mood and tone; that sort of hazy, bohemian, thoughtful vibe throughout the book. Ah. I loved this one. Thanks, Rebecca! And thanks again for sharing your ARC with me. I hadn’t heard of THE DISENCHANTMENTS until I saw it mentioned on your blog, so I’m very glad you posted about it. And yes, the mood… loved it! 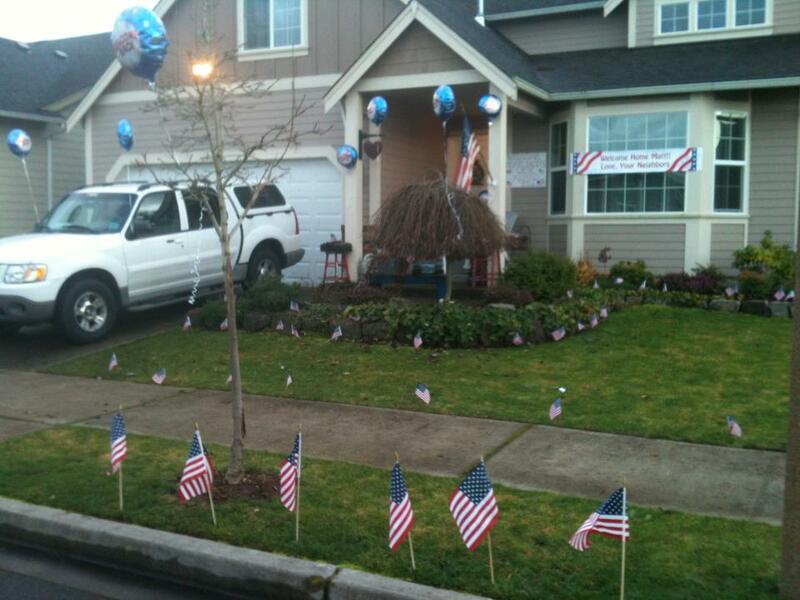 Awww, welcome home to your hubby!!! I can’t imagine the fortitude it took to be away from him for so long, and to be taking care of a little one too! This book sounds AWESOME by the way. I will definitely add it to my TBR pile!!! Thanks, Lindsay! And I hope you love THE DISENCHANTMENTS as much as I did! Doesn’t that cover make you want to be friends with that girl? I do love it. Can’t wait to read! YES! I adore this cover. I want her t-shirt AND her sunglasses! Firstly and most importantly, YAY that your husband is home! Secondly, I adore that cover. Thirdly, you’re awesome–somehow I hadn’t heard of this, and I’m loving my contemp right now, so I can’t wait to get reading! Oh, I’m happy to have put it on your radar! I hadn’t heard of it until recently either, but holy cow… it’s just so, SO good! Let me know what you think, Amie! Your house looks awesome! What a great surprise to come home to. So glad for you that your husband is home. I love this book cover. LOVE. And it’s set in the PNW! Totally added it to my must-read list. PS: I looooooved Saving Francesca, btw. Another AMAZING recommendation. Thanks, Katy!! Thanks, Bridgid! I’m so glad you enjoyed SAVING FRANCESCA. I love and recommend anything by Melina Marchetta. 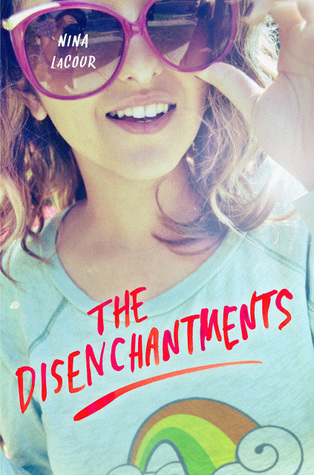 🙂 I hope you give THE DISENCHANTMENTS a read… It’s fantastic!